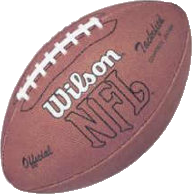 The National Football League (NFL)’s championship game — the Super Bowl — takes place this Sunday evening just outside of New York City. The game will draw the attention of millions of television viewers in the United States and around the world. With all this attention comes a lot of marketing — but unless you’re a sponsor of the NFL or the Super Bowl, you may want to pass on using the words “Super Bowl.” The NFL and its lawyers don’t take kindly to such commercial use, seeing it as a violation of their copyrights or trademarks. Whether this is puffery or rooted in sound legal theory is a story for another day, but suffice it to say that many advertisers simply don’t use the term “Super Bowl.” Typically, the euphemism of choice is the “Big Game,” a term which adequately describes the Super Bowl without likely running afoul of intellectual property law (even if the NFL thinks otherwise). But if you’re showing the Super Bowl on your TV to anything but a select group of friends, you may want to make sure the Big Game isn’t too big. That is, if the television is larger than 55 inches — that’s about 1.4 meters, but given that we’re calling the sport “football,” the use of the Imperial system here is probably the least of the American-centric word usage issues in this article — anyway, if the TV is larger than 55 inches, the NFL may not take too kindly to what you’re doing. In general, it’s a bad idea to make people worry about copyright issues when they have a few friends over for a Super Bowl party. Title 17, Section 110 of the United States Code discusses a lot of exceptions to the general copyright rule, and one of those exceptions allows for the run-of-the-mill, at-home Super Bowl party. But there are some limitations. Subsection (5)(B)(i)(II) of that law talks about larger spaces — places with over 2,000 square feet of floor space — and the events held there, listing off some exceptions to the exceptions. For example, these larger venues are only safe so long as “no such audiovisual device has a diagonal screen size greater than 55 inches.” So if you’re having a big party in your basement and you have one of these things, you may be in trouble, at least in theory. In practice, the NFL isn’t going to waste its time or money chasing you down, no matter how awesome your Super Bowl hot wings are. (The league would lose anyway — as one law firm points out, you’re almost certainly OK if you’re hosting this in your private home and aren’t charging admission.) But don’t think the league won’t come after others who do the same thing. And no, those “others” aren’t sports bars — the league is fine with that. The NFL’s only well-known foray into the world of too-big-TVs? They went after a church. Bonus Fact: Broadcasts of major American sports typically contain a copyright infringement warning at some point during the game. These warnings are usually way, way more broad than the law actually provides. As this video from the 2007 Super Bowl shows, the NFL prohibits the dissemination of “descriptions or accounts” of the game being watched, without consent from the league. That’s obviously ridiculous — the NFL can’t actually prevent you from describing a play to someone else nor giving your account of what happened. In fact, that’s why the video is on YouTube in the first place. A law professor named Wendy Seltzer uploaded the video to show how absurd some copyright laws are, hoping that the NFL would complain to YouTube and have the clip removed. They did. She fought back and the clip, after a few days in offline-limbo, was restored. From the Archives: O Say Can You Sync? : Why Super Bowl performers lip sync. Related: A 60” TV. I can’t say that it’s perfect for your Super Bowl party because (1) the NFL may yell at me for, in their view, infringing upon their copyright and (2) it’s more than 55” and therefore arguably bad for your Super Bowl party.